Withdrawing from any drug is never enjoyable. In most cases, however, it doesn't put people at risk of physical harm. Unfortunately, that's not the case with alcohol withdrawal. Below is a closer look at the alcohol withdrawal timeline and why the process can be so dangerous. The first thing to understand about alcohol withdrawal is that the experience differs for everyone. People don't experience the exact same symptoms, and the symptoms don't always occur at the same time. In general, however, there are three stages to the alcohol withdrawal timeline. The first stage typically starts within the first eight to 12 hours after people last drink. The symptoms are usually uncomfortable, but they don't pose a threat to their lives. Some examples include headache, nausea, and stomach pain. Stage two starts within 12–24 hours of the last drink. The symptoms start to increase in intensity and have both mental and physical effects. Some examples include anxiety, confusion, increased body temperature, and rapid heart rate. The third stage, however, makes alcohol withdrawal dangerous. It starts between the 24–48 hour marks. People can experience life-threatening side effects such as hallucinations, shaking, delirium tremens and seizures. Delirium tremens (DTs) is a serious condition that can develop during alcohol withdrawal. With professional help, most people survive DTs. Without it, however, DTs is fatal nearly 5% of the time. The condition can cause vivid hallucinations, intense seizures, and extreme confusion. Because of this condition, experts recommend that those who drink a lot never attempt alcohol withdrawal alone. It's safer for them to seek professional help. Detox clinics help people safely manage the side effects of DTs. What Happens After the Third Stage? In most cases, people enter post-acute withdrawal after stage three of the alcohol withdrawal timeline. In fact, some experts refer to it as the fourth stage. The symptoms that they feel are nearly all mental, with depression being highly common. Also during this stage, people tend to have trouble sleeping. Most of the time, they start to put on weight because of a decrease in metabolism. Combined, these effects rob them of energy throughout the day. Don't attempt to take on this challenging task alone. 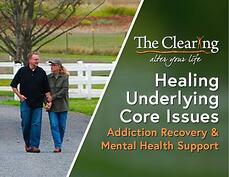 Find out what it takes to kick your alcohol addiction to the curb. Reach out to us today at 425-275-8600 for more information.